Astronauts Tom Marshburn, Kevin Ford and Chris Hadfield chat live from the International Space Station with #NASASocial participants. February 20th, NASA hosted a special event at their Washington headquarters in which a group of their social fans attended a day of tours, expert talks and even a livechat with astronauts on the International Space Station. My son and I are fortunate to have participated and on top of the insider look we had at NASA research, we learned a great deal about the power of social media advocacy, as well. So what happens when an organization puts 150 of their loyal social media fans in one room for a fantastic, exclusive experience? Brand building and social reach magic, judging by the results of yesterday’s #NASASocial. Participants and social fans were asked to tweet on the hashtag #NASASocial; the NASA Social Team also have a Twitter account at @NASASocial. We were encouraged to tweet the @ISS_Research (International Space Station) account, as well. Each of the astronauts and researchers featured in in-person presentations or live chats also have Twitter accounts. Some, like Canadian Space Agency’s Commander Chris Hadfield, are already wildly popular; at last count, Hadfield had well over 400,000 Twitter followers. We received all of the information we needed to promote the event across Twitter, Facebook and Google+ in a series of emails prior to the event. 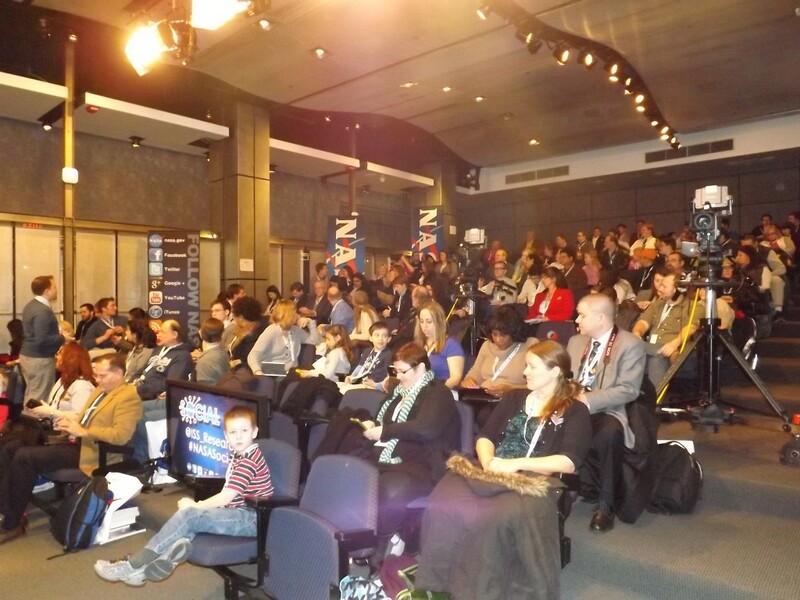 150 social fans awaiting the start of #NASASocial at NASA Headquarters in Washington, D.C. Even before that, each applicant was asked to supply their social media profile URLs in their application. Once the 150 participants were selected, NASA added participant Twitter handles to a list they had created for this event. During registration, each participant received a lanyard with their name and Twitter handle, as well as @ISS_Research and #NASASocial printed on the front. Overall, we were well prepared to come armed with our devices and socialize with NASA, our networks, and each other throughout the event. Know your participants. Connect with them in advance and make sure they are connected with one another. This is a huge help on the day of the event, as they can chat through their social profiles and retweet one another. Establish a hashtag and notify participants as early as possible to encourage social promotion in advance of the event. Invite your loyal social followers. From conception, this idea was a brilliant one from the NASA Social Team. They guaranteed a socially successful event by including followers they already knew to be socially active and tech-savvy. Offer participants an experience. Give fans a behind-the-scenes look at how your company or organization operates. Make key people in your organization accessible to fans. Incredibly, the chart below shows activity from only the latest 50 tweets at the time it was retrieved, just after lunch the day of the event. Though just 150 people were able to physically attend, their tweets (and those of their followers) reached over 172,000 Twitter users in the span of 50 tweets. 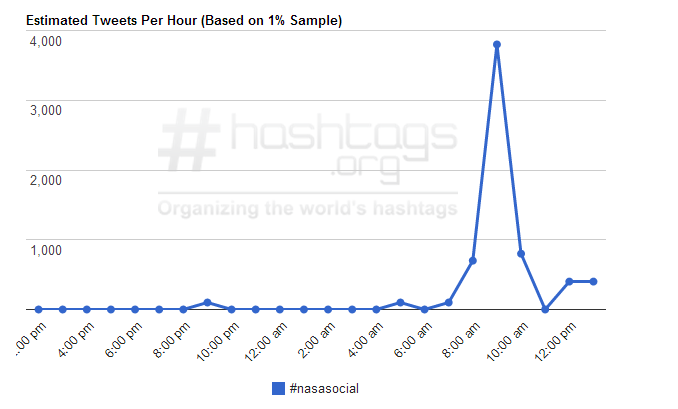 To add more context, at the height of the event, participants and social followers were sending nearly 4,000 tweets per hour on the #NASASocial hashtag. This social activity was also incredibly effective at driving traffic back to NASA web properties, as illustrated below. Participants and their networks tweeted links to at least six different NASA sites or subsections of their main site in the 1500 tweet selection from which this chart drew data. At every turn, we were encouraged to participate in the social activity happening online around the event. 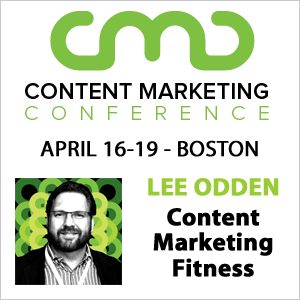 Encourage attendees to tweet, Facebook, or update their other profiles throughout the event. Incredibly, I’ve attended a tech/marketing event and been asked to turn off my phone and not publish anything the speaker said. Don’t do that. Remind users of hashtags, URLs and handles throughout the event. After each speaker, NASA shared a slide with this information as a subtle reminder to participants to get social. Allow photos and video. It would be well within NASA’s rights to restrict photography or videography at their events; they had their own team there to document the event. However, social users love sharing videos and images. Let us snap pics and we’ll share them, giving your brand exposure, all day long. You may not think your product or service is quite as exciting as the opportunity to chat live with astronauts. Yet there are people in your social sphere who think you are absolutely fascinating… do you know who they are? Astronaut Don Pettit (@astro_Pettit) explains the water recycling systems in space to #NASASocial participants. Actively listen to your fans, especially those vocal and influential in your space. Brand advocates can sway public perception about your brand, quickly spread the news of a new launch or update, and defend your brand from detractors. These are incredibly valuable people to have on your side in social channels. Offering fans an experience outside of the usual consumer/company or organization/spectator relationship can help convert them from loyal fans to staunch advocates. Physical events offer so much opportunity to “wow” your fans, by way of behind-the-scenes access, face-to-face chats, networking with other fans and more. Add to that the photo opportunities and the power of social media and real-world events are a real winner for your social presence. It is important to note that NASA did not pay for participants airfare, accommodations, or meals. Yet when we met attendees at the event, they had come from all over the country at their own expense to participate. Converting fans to advocates does not mean you are buying their love. 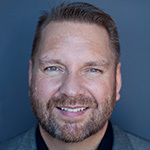 Instead, you have built such a mutually beneficial relationship that they will go to bat for you online just as much as drive across the state for an opportunity to connect with you. Thank you so much to NASA and their partners at the Smithsonian Air & Space Museum for a once in a lifetime opportunity at #NASASocial. Kudos to Jason Townsend, John Yembrick and the rest of the NASA social team for organizing this fantastic event! It was VERY well handled on their part, and could serve as a good model of how such an event could deliver some nice results for a business when properly executed. I noticed they didn’t just drop it when the event was over, either, but continued to field questions on-line for some time. Overall, I suspect it may have been more of a PR success than they hoped for. This is so cool Miranda – what an experience for you to share with us all. Thank you!